No 3 in the bestseller charts!, 7 weeks in the top ten! Fostering little Beth, aged 7, appeared to be straightforward to begin with. She was a sweet-natured child who seemed to have been well looked after by her father, a single parent. However, I began to feel something wasn’t right in Beth’s home life, although it was difficult to identify what it was – more an instinct I had really. Eventually I raised my concerns with Beth’s social worker, Jessie, but no action was taken, until Jessie accompanied Beth to the hospital to see her father. Then everything changed. All contact between Beth and her father was stopped, and Jessie asked me if I would look after Beth permanently. I said I would. Beth had never known a mother’s love and I knew my family and I would love her. I love all Cathy’s books. They draw you in and are happy, sad and emotional, all at the same time. I finished this in a day, like the others I couldn’t put it down. Loved this story about Beth. Another great page turner by Cathy. Highly recommend. 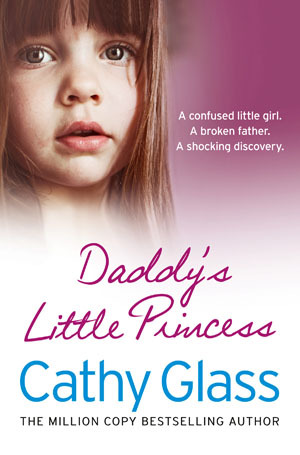 Cathy Glass’s latest book is another page-turner which you’ll find hard to put down…a compelling tale where things aren’t always quite as they first appear. Another brilliant book from Cathy Glass, never fails to deliver. Read this book in one day. Absolutely brilliant account of Beth’s foster placement. Another fabulous book. I can’t wait for future releases. From the first page I was hooked. Another fantastic read! I couldn’t put it down. Loved this story about Beth. Another great page turner. …a great writer & an inspirational woman. I had to read this in just one sitting.